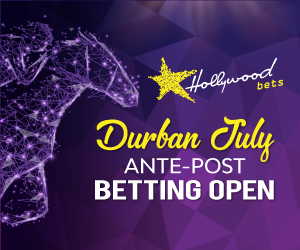 Best bets and value tips for racing from Turffontein on Saturday 7th July with selections provided by Winning Form as well as their back page tipster, Magic Tips. The Australian import BELTON ROAD was rested and gelded following his poor second showing but that formline worked out well and the bay returns to sprinting today. Of course he was strongly fancied when runner-up behind the useful Green Haze (runs in race 1) on debut in his penultimate start. LADY OF THE WORLD kept on well to beat a decent line-up prior to her ten week absence and she must be respected despite the resultant three pound penalty. The three-year old CELESTINA faces the top rating at level weights and returns from an even longer absence but the capable Tarry inmate usually comes well in the winter and she merits obvious respect. This is a most intriguing ten furlong graduation contest where a close finish is expected. PUGET SOUND isn't favourably weighted but he could enjoy this extra ground and will undoubtedly prefer having one lead him into the home straight. His last formline could be worth following. The lightweight AMERICAN INDIAN was always going to find the mile too sharp for him recently and he seemed unsuited to blinkers which rightly come off today. The bay gelding could be a huge danger if reproducing his smart penultimate run in a strong line-up, the formline of which was boosted when the 4th placed entrant Lord Silverio easily triumphed next time out. Just seven entrants clash in this exciting Pinnacle Stakes affair which should yield a close finish. The improving three-year old SARAGON will need to repeat her eye-catching last performance at this level where she had DESERT RHYTHM a head adrift of her over seven furlongs on this course. Of course she was also unfavourably weighted on that occasion but the mile should suit both entrants really well and they should be involved in the finish. The pair clash on similar weight terms and of course the latter stayed on well to finish runner-up behind her high class stablemate Redberry Lane in a feature over this c & d prior to that.